Can You Buy Low and Sell High on Stocks?I mean for a long term. The answer is NO. The truth is, you can never expect the stock price to go up in order to make a profit. That's gambling. Yes, there are some people making money. Who? Warren Buffett. He's a pure stock investor that make huge profits for over fifty years. Today, I'll show you the basic & advanced knowledge of Stock Investing. Plus, I am a Buffett Believer. What Do You Expect From Stock Investing? -Who do you earn profit from in this game? The One most of us know about is from the price difference between buy & sell. Actually, it is not reliable at all. You are gambling about other investors will always buy the same stocks at a higher price than you do for a reason. The reason is, they are more foolish than you. and there's no win-win game here. You just win a bet from another gambler. Sooner or later, he will get that money back. You can't make a living on gambling. A famous saying is"You'll always lose everything when you gamble for a long enough time." Any profit-making activity, if not a win-win one, will never last long. That's a law of nature. See the history of the 150 years' Wall Street, who won at last as a speculator? No one ever. The other one sounds not very attractive. 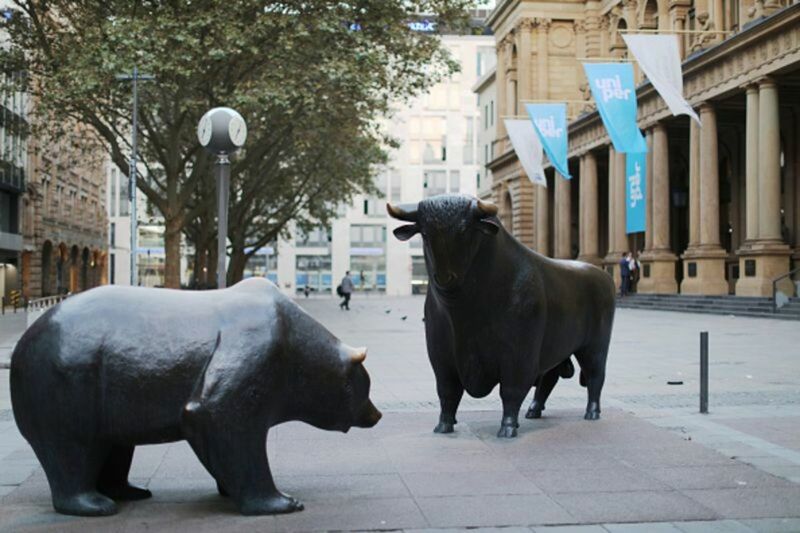 Get dividends from the stock issuer twice a year as a long time shareholder. The big difference is, the CEO works for you, earns you dividents. The profit you earns is from the happy customers who purchase products from the company you are holding shares of. Win-win Game. That's what Warren Buffett did and why he's successful for over 50 years. I don't know anything about stock investment yet. Where to start? My God! Here's not such a 101 class. I recommended you some books to know the ABC of the investment world. What you need from them is just the basic knowledge. Most of that kind of books are alike. They copy each other. No added value at all. Or you can just read some basic knowledge online for free. It's your choice. Forget About the Scams. 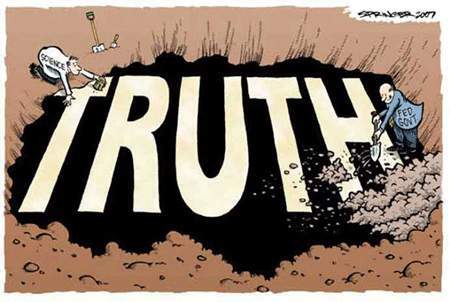 Learn the Truth. 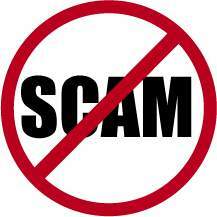 I saw many scams every day on the internet, like autopilot stock trading robot and Forex. Many internet marketers are promoting them everywhere. That's just what I can't stand with. Scams!Scams!Scams! If they can make so-called autopilot profit, they would probably get Nobel Prizes or sth. What would Warren Buffett say if he saw this kinda product? He would throw a laughter. So will our President Obama. That thing doesn't exist ever. Forget about autopilot! Ridiculous Thing! 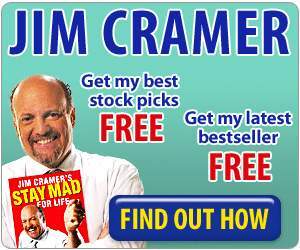 And I saw many books telling you how to make great fortune via stock investment for a month. Don't you ever believe that. To earn steady income from stock investment needs time & effort & patience. No quick money could be possible.Forget about it! Luckily, to earn steady income is possible for every one of us. Buffett just proved it. We can either establish a business on our own, or become a shareholder of a successful company. But How? That's what we are gonna talk today. Read on. There are plenty of good companies around there while we cannot buy. Like Coca Cola, Google, Microsoft, Berkshire Hathaway... ...Why? The price is not good. They're overvalued. How can we define the value? The P/E ratio (price-to-earnings ratio) of a stock (also called its "P/E", "PER", "earnings multiple," or simply "multiple") is a measure of the price paid for a share relative to the annual net income or profit earned by the firm per share. It is a financial ratio used for valuation: a higher P/E ratio means that investors are paying more for each unit of net income, so the stock is more expensive compared to one with lower P/E ratio. The P/E ratio has units of years,Price is in currency or currency/share, while earnings are in currency/year, or currency/share/year. which can be interpreted as "number of years of earnings to pay back purchase price", ignoring the time value of money. In other words, P/E ratio shows current investor demand for a company share. The reciprocal of the PE ratio is known as the earnings yield.Stocks for the Long Run, by Jeremy J. Siegel, McGraw-Hill Companies; 2nd edition (March 1, 1998) (Old edition) New edition is The earnings yield is an estimate of expected return to be earned from holding the stock if we accept certain restrictive assumptions (see T-Model). Return on Equity (ROE, Return on average common equity, return on net worth) measures the rate of return on the ownership interest (shareholders' equity) of the common stock owners. It measures a firm's efficiency at generating profits from every dollar of shareholders' equity (also known as net assets or assets minus liabilities). It shows how well a company uses investment dollars to generate earnings growth. ROE is equal to a fiscal year's net income (after preferred stock dividends but before common stock dividends) divided by total equity (excluding preferred shares), expressed as a percentage. But not all high-ROE companies make good investments. Some industries have high ROE because they require no assets, such as consulting firms. Other industries require large infrastructure builds before they generate a penny of profit, such as oil refiners. 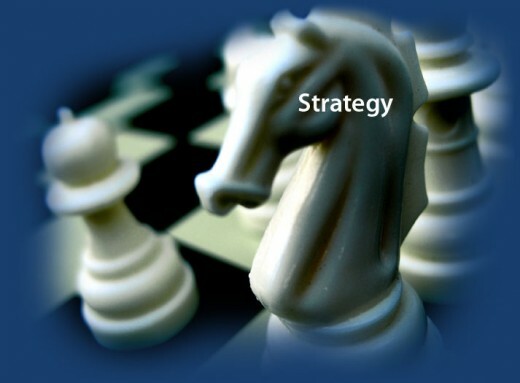 You cannot conclude that consulting firms are better investments than refiners just because of their ROE. Generally, capital-intensive businesses have high barriers to entry, which limit competition. But high-ROE firms with small asset bases have lower barriers to entry. Thus, such firms face more business risk because competitors can replicate their success without having to obtain much outside funding. As with many financial ratios, ROE is best used to compare companies in the same industry. High ROE yields no immediate benefit. Since stock prices are most strongly determined by earnings per share (EPS), you will be paying twice as much (in Price/Book terms) for a 20% ROE company as for a 10% ROE company. The benefit comes from the earnings reinvested in the company at a high ROE rate, which in turn gives the company a high growth rate. ROE is presumably irrelevant if the earnings are not reinvested. *The sustainable growth model shows us that when firms pay dividends, earnings growth lowers. If the dividend payout is 20%, the growth expected will be only 80% of the ROE rate. *The growth rate will be lower if the earnings are used to buy back shares. If the shares are bought at a multiple of book value (say 3 times book), the incremental earnings returns will be only 'that fraction' of ROE (ROE/3). *New investments may not be as profitable as the existing business. Ask "what is the company doing with its earnings?" *Remember that ROE is calculated from the company's perspective, on the company as a whole. Since much financial manipulation is accomplished with new share issues and buyback, always recalculate on a 'per share' basis, i.e., earnings per share/book value per share. The return on assets (ROA) percentage shows how profitable a company's assets are in generating revenue. The current ratio is an indication of a firm's market liquidity and ability to meet creditor's demands. Acceptable current ratios vary from industry to industry. If a company's current assets are in this range, then it is generally considered to have good short-term financial strength. If current liabilities exceed current assets (the current ratio is below 1), then the company may have problems meeting its short-term obligations. If the current ratio is too high, then the company may not be efficiently using its current assets. Low values for the current or quick ratios (values less than 1) indicate that a firm may have difficulty meeting current obligations. Low values, however, do not indicate a critical problem. If an organization has good long-term prospects, it may be able to borrow against those prospects to meet current obligations. Some types of businesses usually operate with a current ratio less than one. For example, if inventory turns over much more rapidly than the accounts payable become due, then the current ratio will be less than one (this is true for McDonalds). This can allow a firm to operate with a low current ratio. *to determine a project's rate of return or value. The time of cash flows into and out of projects are used as inputs in financial models such as internal rate of return, and net present value. *to determine problems with a business's liquidity. Being profitable does not necessarily mean being liquid. A company can fail because of a shortage of cash, even while profitable. *as an alternate measure of a business's profits when it is believed that accrual accounting concepts do not represent economic realities. For example, a company may be notionally profitable but generating little operational cash (as may be the case for a company that barters its products rather than selling for cash). In such a case, the company may be deriving additional operating cash by issuing shares, or raising additional debt finance. *cash flow can be used to evaluate the 'quality' of Income generated by accrual accounting. When Net Income is composed of large non-cash items it is considered low quality. *to evaluate the risks within a financial product. E.g. matching cash requirements, evaluating default risk, re-investment requirements, etc. Cash flow is a generic term used differently depending on the context. It may be defined by users for their own purposes. It can refer to actual past flows, or to projected future flows. It can refer to the total of all the flows involved or to only a subset of those flows. Subset terms include 'net cash flow', operating cash flow and free cash flow. The gross profit margin is related to the net profit margin, which assesses the profitability of an organization after including fixed costs. Gross profit percentage is (gross profit / sales revenue) x 100. The dividend yield or the dividend-price ratio on a company stock is the company's annual dividend payments divided by its market cap, or the dividend per share divided by the price per share. It is often expressed as a percentage. Its reciprocal is the Price/Dividend ratio. Debt Ratio is a financial ratio that indicates the percentage of a company's assets are provided via debt. It is the ratio of total debt (the sum of current liabilities and long-term liabilities) and total assets (the sum of current assets, fixed assets, and other assets such as 'goodwill'). Like all financial ratios, a company's debt ratio should be compared with their industry average or other competing firms. Total liabilities divided by total assets. The debt/asset ratio shows the proportion of a company's assets which are financed through debt. If the ratio is less than one, most of the company's assets are financed through equity. If the ratio is greater than one, most of the company's assets are financed through debt. Companies with high debt/asset ratios are said to be "highly leveraged," not highly liquid as stated above. A Company with a high debt ratio (highly leveraged) could be in danger if creditors start to demand repayment of debt. How Can I Apply Them? See the Guy in the picture. That's Benjamin Graham, Warren Buffett's Mentor, the Creator of Value Investment. He's the one that invent many of the financial ratios showed above. There're two books written by him for you to know how to apply the ratios into real financial analysis. I have both of them in hands being read many times. 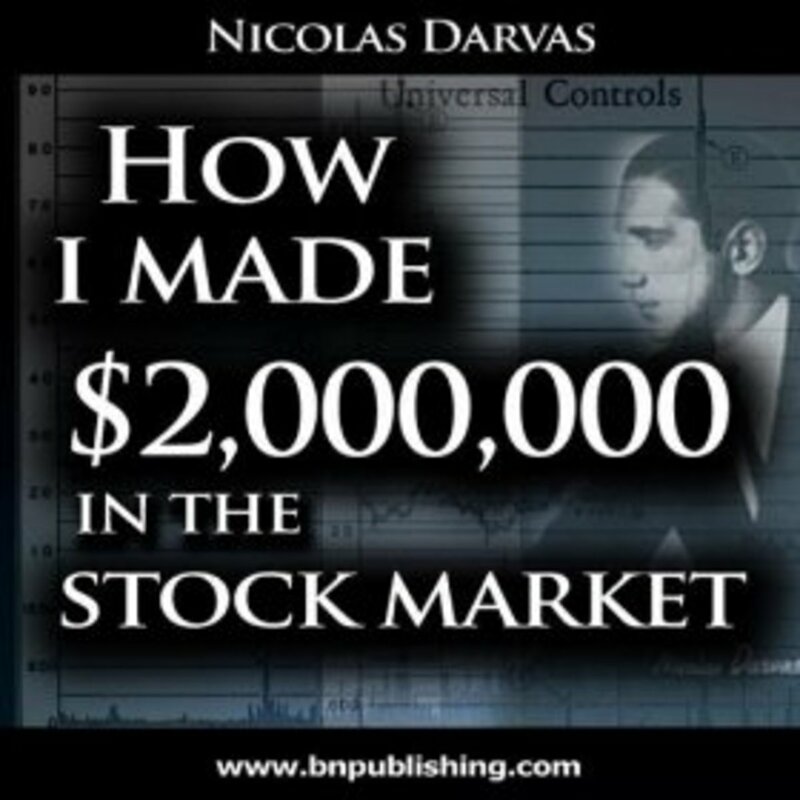 There're about 800 pages talking about investment not only on stocks but also on preferred stocks & Bonds, which is considered to be the Bible of Investment on the Wall Street. Warren Buffett's Favorite, also mine. You can get one copy down below from Amazon for a low price. Benjamin Graham (May 8, 1894 ? September 21, 1976) was an American economist and professional investor. Graham is considered the first proponent of Value Investing, an investment approach he began teaching at Columbia Business School in 1928 and subsequently refined with David Dodd through various editions of their famous book Security Analysis. Well known disciples of Graham include Jean-Marie Eveillard, Warren Buffett, William J. Ruane, Irving Kahn and Walter J. Schloss. Buffett, who credits Graham as grounding him with a sound intellectual investment framework, described him as the second most influential person in his life after his own father. In fact, Graham had such an overwhelming influence on his students that two of them, Buffett and Kahn, named their sons, Howard Graham Buffett and Thomas Graham Kahn, after him. This is the simplified version of Security Analysis. Recommended for beginners. 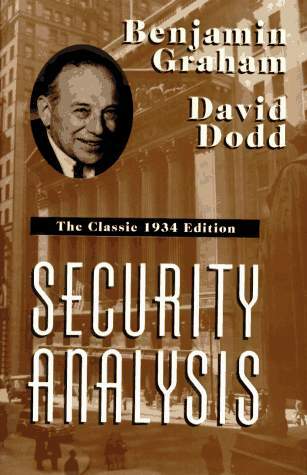 Security Analysis is a really good book while a little bit difficult for people to understand every terms. Leave a message here for what you don't understand, with the words, phrases,terms or the page NO. This is really a great invention of human being, which can be applied in every corner of business world. If a business can earn $100,000 while sell for $1 Million, the P/E for that business is 10, which means it is expected to get you investment fully covered in ten years, 10% annual return on investment. Sound like a nice deal. While the problem is, is there any guarantee to this kinda profit-making business to maintain 10 years. If not, the actually annual return rate is less than 10%. Maybe less than 5%, or even no gain at all in the coming years. So we must figure out what the real P/E is of this business. 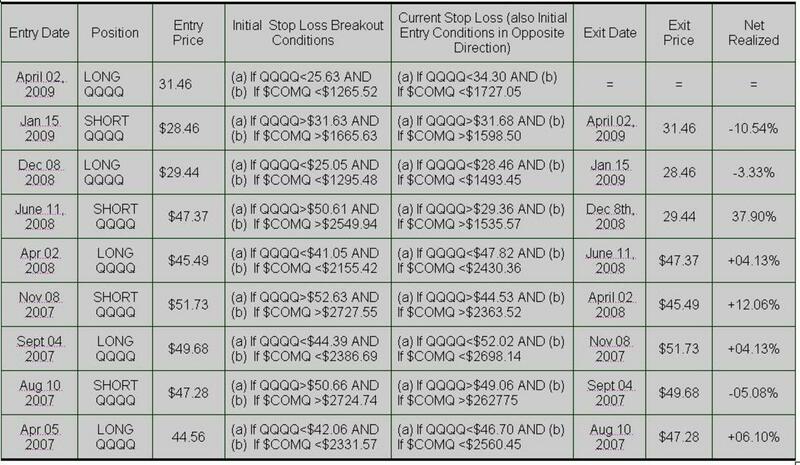 To analyze a stock's reasonabl P/E, you should first get all the annual financial statements from SEC.GOV, at least ten years' reports and the latest quarterly reports. See if there's big fluctuation of earning per share in the ten years' report. If that's steady enough, averaging them, the result can be considered as a reasonable earning. We time the reasonable earning per share by a number, known as the P/E, usually 10, to get a reasonable stock price. For example, if the average earning per share is $2, the value of it should be $20. If the current stock price is under or much lower that. Congratulations! You've got a very good candidate. We'll talk about P/E more specifically later. Return on Equity is almost as important as P/E. It means the profit-making ability of a business based on the ratio that the net income/ equity. Of course. This net income has many contents, including receivables, changes in inventory, pre-collection,depreciation,amortization,payable. The number calculated in the report is not just the real money, just in accounting. It has been made clear in the Security Analysis that we should take a closer look in the ROE in a long time to distinguish the good and the bad business. If the fluctuation of ROE is very drastic, at least it cannot maintain steady income, or the company uses some accounting tricks on the fiscal report. The ideal ROE is around 15% in Buffett's mind. I think that is fair enough. It's dangerous to buy a stock whose current ROE is over 30%, because no business can last for years under that rate. Be cautious all the time. That's why Buffett won all the time. Just stop here for today. Cash flow is the blood of a business which is highly valued by Buffett and me. There're three types of cash flow in the financial statements. 1. 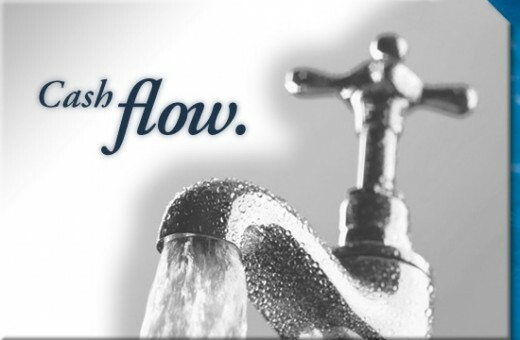 Cash flow generated thru business activities. This means how much real cash generated thru business activities you are holding in hands during this fiscal year. If this number is negative, the business is doomed. 2. Cash flow generated thru investment activities. This means how much real cash generated thru investment activities. Usually this number is negative. Very few businesses could get positive cash flow thru investment. But I did know some. They are super businesses. That means you don't have to ask the bank for help to finish the investment. This business can have very little debt to operate which saves a lot of cost of interest. More importantly, it'll be strong enough to overcome any economic depression. 3. Cash flow generated thru financial activities. This number is always positive because this cash flow is not what you earn, but borrowed from banks which means you have to pay interests. Appropriate financing is good for a business to grow bigger.But be careful ! It doesn't always succeed. Plus 1&2, if the result is positive, it means this business is capable to support its normal investment activities without having to finance. If this number is negative, you'll probably forget about this business for most of the time. Free Stock Investing Game for you to Take a Shot! Here I highly recommend this free game for you to take a shot. 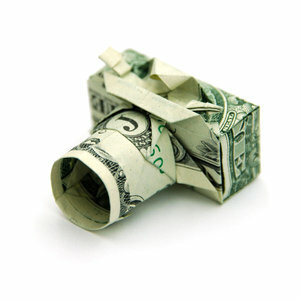 See this lens thru and sign-up for for fun. Hope to help you get real experience on stock investment! Let's Get Real Deals if You're Ready! Virtual Trade Also Available Here. Plus Futures & Options Trade. Create your Own Security Account and get familiar with the trading procedure. Make Real Deals here when you are ready! Still Puzzled about Which Stock to choose? Click Here to Get Free Stock Picks Now! Tell Us How You Feel before we move on. I think that for get started, buy and sell a few stocks in a low-risk way. Also you can try to learn more with a trading course. Very Good advice, take note of "time &amp; effort &amp; patience" and "No quick money". From understanding comes opportunity, from opportunity comes profit.